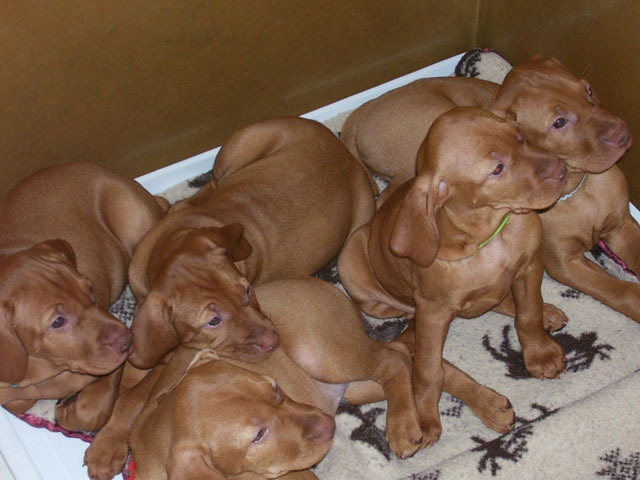 Stella has retired to Sackville where she is a true Vizsla Princess, being spoiled by Emily, Drew, Claire and Mark. 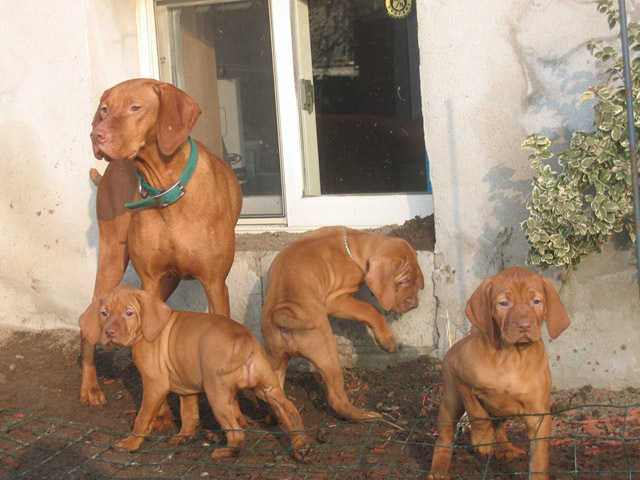 From our "C" litter produced by Cali and Cain, we chose to keep yellow girl. She was a nice dark puppy with lots of substance and great angulation. 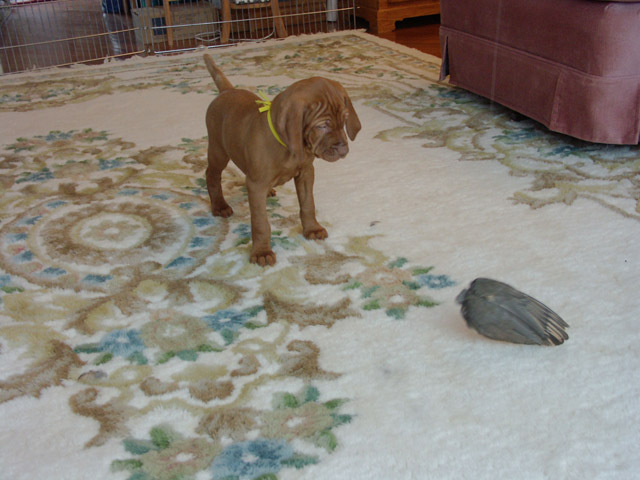 Puppy testing showed her to be high energy with natural retrieve and pointing instincts. 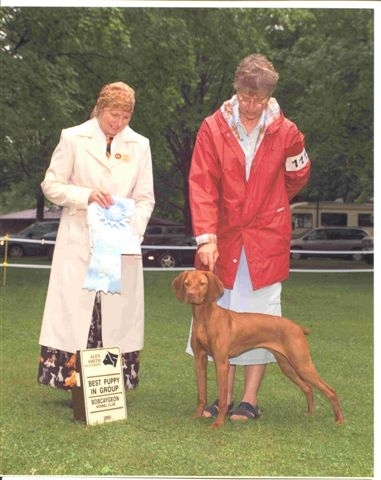 With limited showing to date, Stella has won two Best Puppy In Group ribbons before 10 months. Stella finished her Field Dog Junior title in 3 straight tries, scoring very well each time. If she is mature enough, she will train for FD in the Spring of 2008. She has grown into a beautiful, loving little girl who just can't get close enough to her people. She is slightly taller than her mom, retaining her beautiful dark color. We will have her hips tested after her second birthday in Dec and plan a future breeding from there. 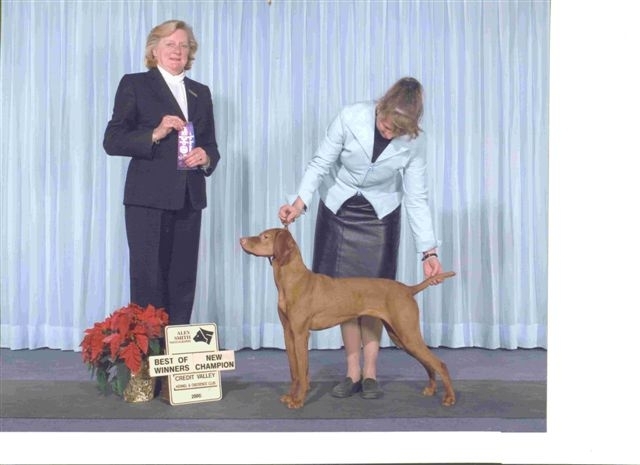 In the photos above, Stella is shown at 6 months, after winning her first Best Puppy in Group and Dec 10/06 as a New Champion. Below are some shots of her with litter mates and momma Cali and pointing the wing during puppy testing.